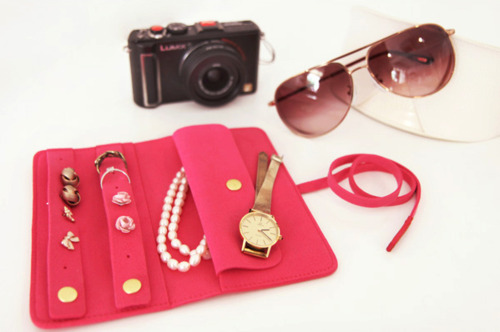 I've found that storing accessories in individual pouches and mini drawers can be a hassle, especially when you're in a rush getting dressed in the morning! Jewelry hangers, hanging rings and mesh boards, on the other hand, can look really messy and tend to become an eyesore, especially when you own a wide range of items. 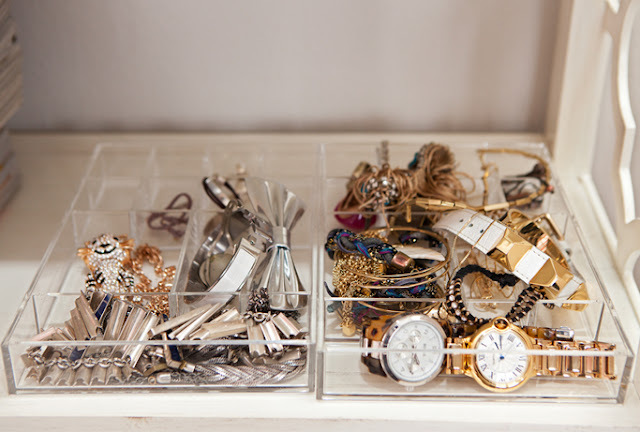 Simple organizers like clear compartmentalized trays can do the trick. You can see everything at one glance, provided that you don't pile too much stuff in one compartment. Find them at department stores and hardware stores. 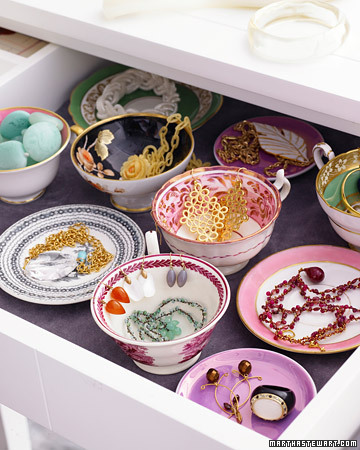 Another idea is using old bowls, cups and saucers, which you can place in a velvet- or felt-lined drawer to avoid sliding or rattling, as Martha Stewart suggests. I think they also make nice bedroom decor. 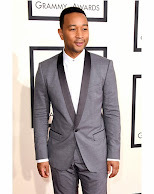 You may opt to stash a few of your frequently worn pieces in a couple cups or saucers on your dresser. When traveling, a roll-up accessory organizer is a good option. Local department stores offer roll-up pouches with clear zipped pockets which I find very easy to use.